When assisting our elderly clients, protecting their wishes and wellbeing with estate planning, trusts, wills, or Medicare/Medicaid guidance, Livonia MI families call The Nakisher Law Firm. If you have a loved one in a nursing home or long-term care facility, or a family member who's preparing to enter a similar living situation, our legal services may match your goals. We understand the proven legal methods for saving assets while applying for Medicaid's long-term coverage. Not protecting yourself or your family could result in a loss of assets or all of an inheritance. The Nakisher Law Firm has decades of combined experience in asset protection, Medicaid qualification, and we offer estate planning solution customized to your needs. Also, we're knowledgeable in veteran's benefits law and how it impacts families. We make sure that you understand all of your benefits and know whether you're eligible for assisted living or home care compensation. If you are a senior citizen who hasn't verified whether you're receiving the Medicaid benefits you were promised, we can conduct a comprehensive review of your coverage. We can also make sure that you are insulated from costly medical expenses. Unexpectedly discovering that you're uninsured during a medical situation is emotionally traumatizing and financially catastrophic. If you're curious whether you qualify for Medicaid benefits, or want to gather information for a loved one, contact The Nakisher Law Firm today! The Nakisher Law Firm provide Medicaid guidance and can help your qualify for coverage. Our attorneys visit many of our clients homes and see how these benefits improve their livelihoods. This includes veterans and individuals who're afflicted with disabilities. The Nakisher Law Firm specializes in helping Michigan residents receive the care and Medicaid coverage they deserve. Our team has decades of combined experience working with those related laws. 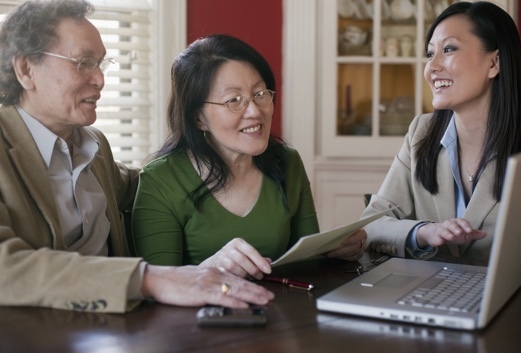 We take pride in offering a unique, and personalized, estate planning strategy. The first step is to learn about you, your budget, then determine the proper long-term care coverage. We'll help you understand how much money you should be receiving and will fight to make sure you get it. Unlike many estate attorneys, we can travel and sit-down with you. The objective of our service is to protect, and improve, your way of life. Whether you are a senior trying to protect an estate for your family or whether you were injured during active military duty and can't stay gainfully employed, we can help. You're likely eligible for many benefits you never realized even existed. We can help you find insurance coverage for assisted living and other medical expenses that may be necessary for your needs.